The three-part absorbent core ensures that fluids are guided quickly into the centre and locked away safetly for a dry and comfortable feeling. With its textile-like feel and white appearance, the soft backchat provides a comfortable feeling and reduces rustling. The white back sheet of the pad helps to maintain the users’ dignity and discretion. Thin coloured follow the HARTMANN colour coding system. Improved soft, water-repelent inner cuffs ensure leakage protection at the sides. Special super-absorbent polymers reduce the production of ammonia and thereby neutrlise any unpleasant odours. This maintains optimal discretion in every situation. Latex-free ‘leg gathers’ provide an excellent fit. The Wetness indicator on the textile back sheet helps to identify when the product needs changing. 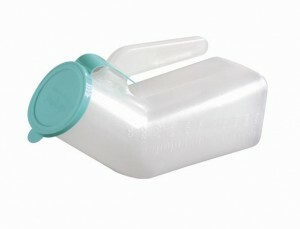 This product comes in various sizes, Absorbency Level and Working Capacity. All in which we can explain to help you make the right choice whatever your needs. Soft, textile fixation pants which look more like normal underwear. Size identification and washing instructions clearly printed on the inside of the waistband. They can be washed unto 50 times at 60 degrees. Suitable for tumble drying on a LOW HEAT. Kylie pants offer maximum protection while being discreet and reliable. Environmentally friendly. 200 washes are guaranteed with two absorbency levels. KANGA PANTS Kanga pants feature a discreet, externally fitted waterproof marsupial pouch to hold Kanga pads with both elasticated waist and legs to ensure a comfortable, individual fit. 200 washes guaranteed, one way liner separates wearer from pad. Reduced risk of rashes and sores. Soft, rustle-free cotton terry fabric upper. Ideal for visiting guests and suitable for children and changes. 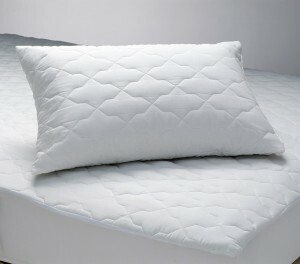 Perfect for adults or children and great for use on guest beds. Zipped closure for easy fitting and removal and a secure fit. Male Urinal – The Male Urinal has an integrated carry handle and anti spill lid, a useful feature not always included in portable male urinals. Female Portable Urinal – The female Urinal is a convenient, portable urinal with an easy carry handle, designed specifically for female use. 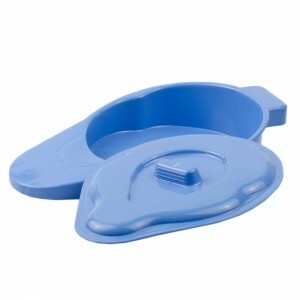 Plastic Bedpan – This robust, plastic Bedpan features a fitted lid and integrated handle for easily transporting and cleaning the bed pan.